From WW1 practice trenches to Roman settlements, Ashridge is brimming with history. The estate has ancient origins dating back to the Neolithic period and encompasses a large and diverse area. The nearby Ivinghoe Hills form part of the Ridgeway, described as Britain’s oldest road, which has been in use for at least 5000 years. The remains of a late bronze/iron age hill fort are still visible at Ivinghoe Beacon. These settlements along the Chiltern escarpment were nearly always in prominent positions, both for defence and as a symbol of a tribe’s territory. Ivinghoe may also have been a focus for ritual and ceremonial events, as well as a trading centre. Hunting had long been a popular activity at Ashridge, amongst both the residents and visitors to the area. Members of royalty, the local nobility and Augustinian monks, hunted deer for sport and as a food source. The deer glimpsed between the beech trees at Ashridge today come from the herds that were once enclosed within the park. The boundary pale, or bank, originally with a wooden fence, can still be seen in places. 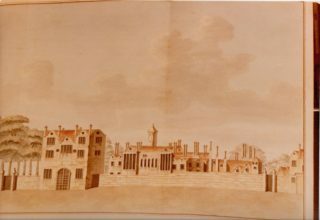 Ashridge monastery, or College of the Bonhommes, was a place of medieval pilgrimage, founded in 1283 by Edmund, son of Richard, the Earl of Cornwall. Edmund gave part of a phial of blood, supposedly that of Jesus Christ, to the new foundation, which he built to enshrine the Holy relic. (He so loved the hunting lodge there that he preferred it to the Castle in Berkhamsted, which fell into disrepair.) The monastery had a church, hall and refectory around a central cloister. The manors of Hemel Hempstead, Ashridge, and Pitstone were also bequeathed to the new Order of the Bonhommes. Ashridge was popular with the royal family over many centuries. Edward I held a parliament at Ashridge in the late 13th century and Edward III often held court at nearby Berkhamsted Castle. 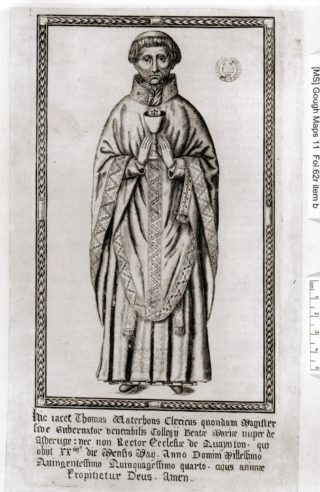 The Black Prince became a patron of the monastery, strengthening its management and extending the Order of Bonhommes to the college in Edington, Wiltshire. This royal patronage certainly helped the monastery at the devastating time of the Black Death. In Tudor times, the royal children stayed at the house and their father, Henry VIII, enjoyed hunting deer in the extensive woods. 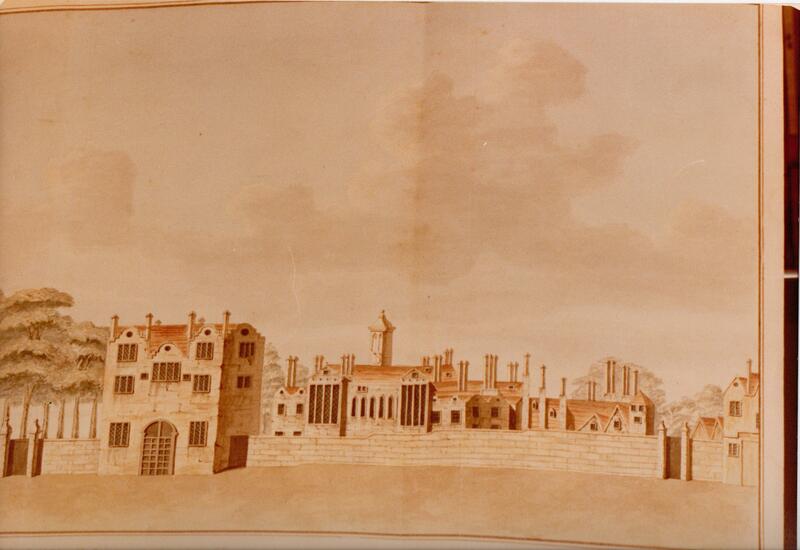 On the final Dissolution of Ashridge monastery in 1539, the last Rector, Thomas Waterhouse, was given a pension of £100 a year and 50 loads of wood. His brother, John Waterhouse, Henry VIII’s Auditor, lived at the old Bury; the family is remembered in our present day Waterhouse Street. Elizabeth was bequeathed the house and estate in her father’s will which was ratified by her half-brother, Edward VI, in 1550. The young Princess Elizabeth stayed at Ashridge and, whilst living there, she was arrested on the orders of her half-sister, Queen Mary. 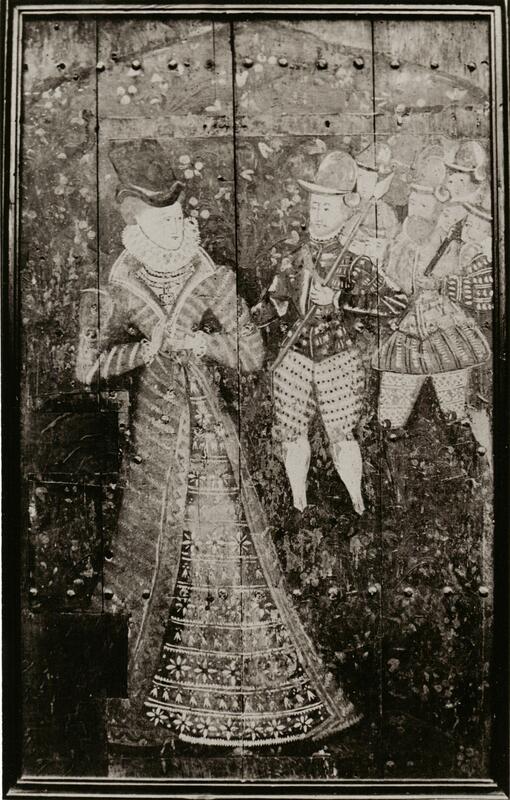 She was accused of conspiracy and taken under guard in 1552 to the Tower of London for questioning. She was never proven to be guilty, however, of complicity in the Wyatt rebellion. In 1556, Elizabeth granted a lease of the property for 21 years to Richard Combe, gentleman, of the Bury in Hemel Hempstead. He was to pay six pounds and ten pence a year for all the houses, barns, stables, dovecote, orchards and gardens. Two years later, Elizabeth was at Hatfield House when she received the news of Mary’s death and her own accession to the throne. She never returned to Ashridge, perhaps because of the painful memory of the years of uncertainty about her own future and her imprisonment.